April 5, 2019, Department, by Kevin Roth, Ph.D. 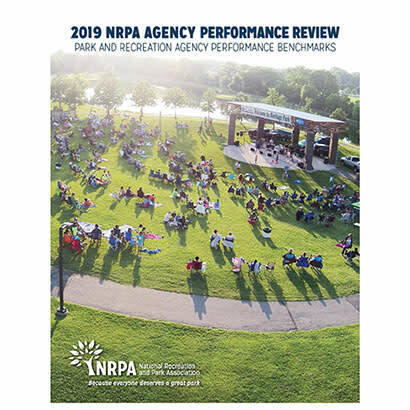 The NRPA Research team is proud to announce the release of the 2019 NRPA Agency Performance Review (APR), our annual review of data and insights for U.S. park and recreation agencies. Delivered with this month’s issue of Parks & Recreation magazine, the report summarizes the key findings from NRPA Park Metrics, our benchmarking tool that assists park and recreation professionals in the effective management and planning of their operating resources and capital facilities. As much as these findings inform policymakers and the public about how park and recreation agencies impact their communities, they do not say what is best for your agency. Why? Because the APR does not include “national standards,” and the benchmarks do not represent any sort of “standards” against which every park and recreation agency should measure itself. Instead, the report presents most of the data in the APR with medians, along with data responses at the lower quartile (lowest 25 percent) and upper quartile (highest 25 percent). The data allows for insights into not only where your agency stands compared to “typical” agencies, but also compared to the full spectrum of agencies at both the high and low quartiles. Many metrics include the top-line figures, as well as certain cross tabulations of jurisdiction population or population density. You can find an even more comprehensive set of cross tabulations as a set of interactive tables at www.nrpa.org/metrics. You can go further by building a customized benchmark report based on a peer group you define. Go into NRPA Park Metrics to filter the data by agency type, size and geographic region. You can enhance this experience even further by entering your agency’s data into NRPA Park Metrics, after which you can generate reports that compare your agency’s data with the key metrics of agencies throughout the United States. Fewer agencies, however, sell alcohol (46 percent), charge admission fees (17 percent) and charge parking fees (14 percent) at any of their premises. Taken together, the 2019 NRPA Agency Performance Review and NRPA Park Metrics represent the most comprehensive collection of park and recreation-related benchmarks and insights that inform professionals, key stakeholders and the public about the state of the park and recreation industry. However, it does not happen without the data contributions made by park and recreation professionals like you. Even though we have published this year’s APR, it is not too late to enter your agency’s data. Not only does entering data give your agency the most customized comparisons available, but you would also be benefiting the 10,000-plus agencies across our nation that want to learn what their peers are doing. Whether you are entering your agency’s data or using the reporting tools, please let us know how we can help. Kevin Roth, Ph.D., is NRPA’s Vice President of Professional Development, Research and Technology.